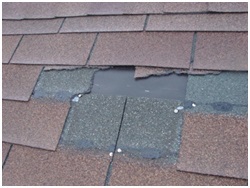 Wind can damage a roof in a variety of ways. Wind resistance is one of the most important design qualities of roof systems. 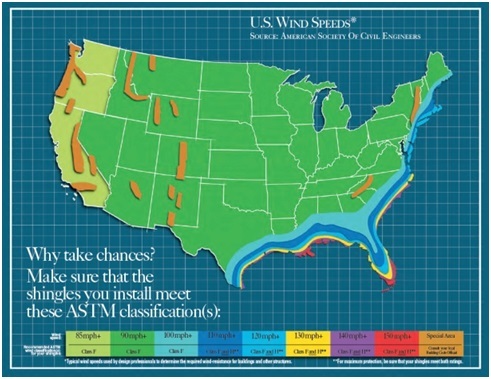 The American Society for Testing and Materials (ASTM) has set the standards for wind testing roofing products. Wind speeds along the Colorado front range can reach speeds of over 100 mph and easily hit 50+ mph during storms. Your home’s roof should meet the ASTM requirements for our region A with consideration of the special area.